This Post has already been read 770 times. 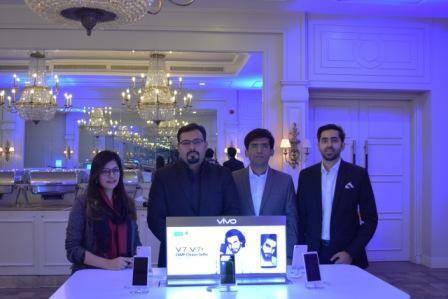 Vivo has unveiled the V7, a new member of the selfie-shooter V series in Pakistan. 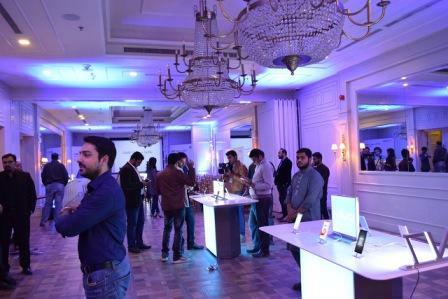 An exclusive media and bloggers meetup was held in Lahore on Wednesday, where tech enthusiasts and media personnel got the first hands-on experience of Vivo V7. 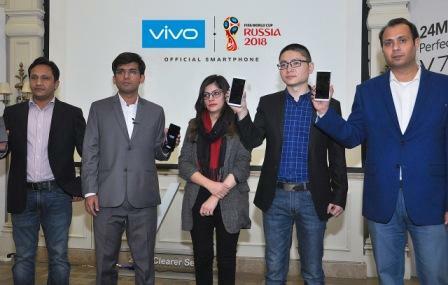 Equipped with advanced technology including the 24MP front-facing camera and FullViewTM Display, the V7 is the latest addition to Vivo’s V series which is known for its exceptional photography features, screen quality and the overall product design. The V7 reinforces Vivo’s leadership in selfies with its 24MP front-facing camera, which produces crystal-clear selfies. By keeping true-to-life color and contrast and a clear background at all times, V7 allows users to express themselves truly anytime, anywhere. The V7 creates the perfect selfie to show off your individuality with its 24MP front camera and smart photography algorithms that generate crystal-clear, natural-looking photos. For example, the Face Beauty 7.0 feature brightens up selfies and creates a more even complexion, even in dimly-lit environments. Portrait Mode in the V7 adds background blurring for sharper contrast and visual appeal to generate stylish selfies equivalent to those from DSLR cameras. 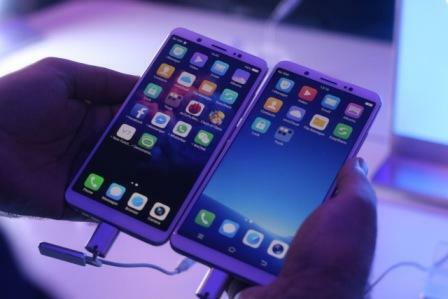 The V7 comes with an 18:9 aspect ratio FullViewTM 5.7-inch display on a phone that would normally house a 5.2-inch screen, offering 12.5% more visual display area compared to traditional 16:9 screens. The V7 ensures you can show off your individuality thanks to its 83.6 % screen-to-body ratio which significantly enhances consumers’ visual experience on the go. The V7 is powered by a 14nm Qualcomm Snapdragon octa-core chipset along with 4GB RAM, ensuring a smooth and seamless user experience. The Funtouch 3.2 OS is also built with user-friendly features such as Smart Split 3.0, making the V7 even the best companion for users’ daily life. Apart from the fingerprint sensor, the V7 features Vivo’s Face Access technology, providing an easy and convenient way to unlock your phone. It quickly detects up more than 100 different facial identification points, allowing you to capture important moments anytime, anywhere. V7 will be available on 29th of November, in Matte Black and Gold colors for a price of Rs. 29,999 in all major cities of Pakistan.